Taijiquan (Tai Chi Chuan) together with Baguazhang and Xingyiquan belongs to the so-called internal martial arts (wushu neijia) of the ancient China. All of these styles strive for the cultivation and the harmonization of the internal energy (qi), which consequently makes an essential contribution to the development and maintenance of health. Jan Silberstorff (Head of WCTAG) describes Taijiquan accurately as meditative and body toning, soft and flowing, full of expression, beauty and energy. This martial art pursues the traditional exercises and takes advantage of the philosophy of yin and yang, their phases of change as well as the harmonization of body, mind and soul. Continuous and intense practice (Kung Fu) finally opens a way to recognize the deeper meaning of martial arts, namely that of self-cultivation. Taiji describes man as the link between heaven and earth and gives him his meaning (Dao). Due to its characteristics the training of Taijiquan offers regardless of age for anyone the opportunity to become acquainted with this martial art. The Chen style is one of the oldest styles of Taijiquan and was created by the Chen family in the 17th Century in the village Chenjiagou. For generations it was passed on mainly within the family. 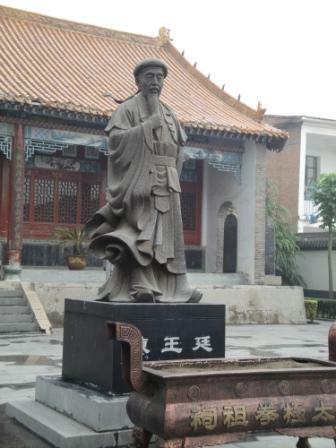 Its origin is generally accredited to Chen Wangting (1597-1664, 9th generation), a general of the Ming Dynasty, who after its fall devoted himself to martial arts and the Taoist traditions. Chen Wangting created several boxing forms, including a long form with 108 figures, a form Paochui “Cannon Fist”, the exercises of push hands and the “sticky spears”. The appearance of his forms harken back to “The 32 forms of boxing” by General Qi Jiguang (16th century). He studied the dao yin and the Daoist practice systems Tuna, which is the basis for many styles of qigong, as well as the Huang Ting Jing, a Taoist alchemy classic by Ms. Wei Huacun (about 251 -334 AD). However, according to his findings he changed the boxing forms into a martial art, which at the same time enable a fundamental physical, character and spiritual transformation of man.Since the middle of last century, Taijiquan was also passed on to disciples outside of the Chen family, who developed more styles such as those of the Yang, Wu, Wuu and Sun family. It is controversial, which impact the martial arts and traditions of the Taoist monasteries of the Wudang Mountains had onto the development of Taijiquan. Qi (Chi) is a Chinese term used to refer to all types of energy. It is the intrinsic substance or the „vital force” behind all things in the universe. Gong (or Kung) is often translated as cultivation or work, refers to the power to produce an effect, or an accomplishment that is achieved with steady practice. The two words are combined to describe systems to cultivate and balance life energy, especially for health. Qigong comprises breathing, physical and mental training methods based on Chinese philosophy. Loosely Qigong can be translated as the study of Qi. With roots in ancient Chinese culture dating back more than 4,000 years, a wide variety of Qigong forms have developed within different segments of Chinese society. While implementation details vary, all Qigong forms can be characterized as a mix of four types of training: dynamic, static, meditative and activities requiring external aids. Typically a Qigong practice involves rhythmic breathing coordinated with slow stylized repetition of fluid movement, a calm mindful state, and visualization of guiding Qi through the body. Qigong is the art and science of using breath, posture, movement and sound to cleanse, refine, accumulate and circulate Qi in body and mind. The breathing and vocalization, our resistance to disease, adaptability to the external environment and immunity to pathogenic influences is strengthened. After all the main target of practising Qigong is to reach our perfect harmony. With a strong immune system diseases are prevented, creating a state of super health, vitality and youthfulness for the practicioner. 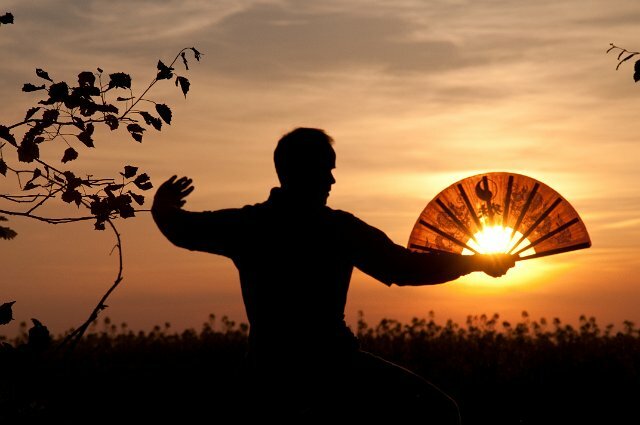 The practice of Qigong ultimately leads also to greater power for martial arts. Taking it one step further, qigong training is also a way to attain Great Wisdom, and to realize true nature of human existence and its relation to cosmos.